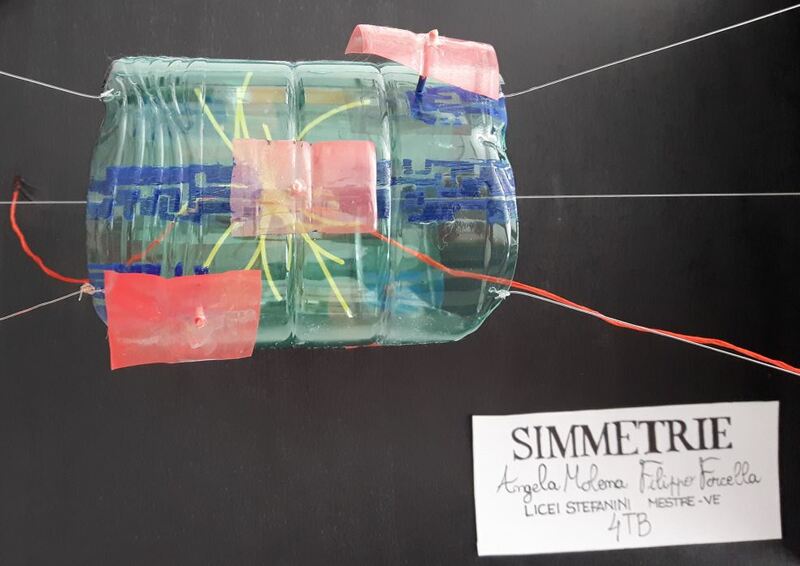 As I explained in the previous post of this series, students in high schools of the Venice area have been asked to produce artistic works inspired by LHC physics research, and in particular the Higgs boson. The works will participate in a contest sponsored by the AMVA4NewPhysics network, and a prize giving ceremony will take place on July 8th at the Palazzo del Casino' of Venice, where the exposition of the best works will be set up during the EPS conference, hosted there from July 5 to 13. 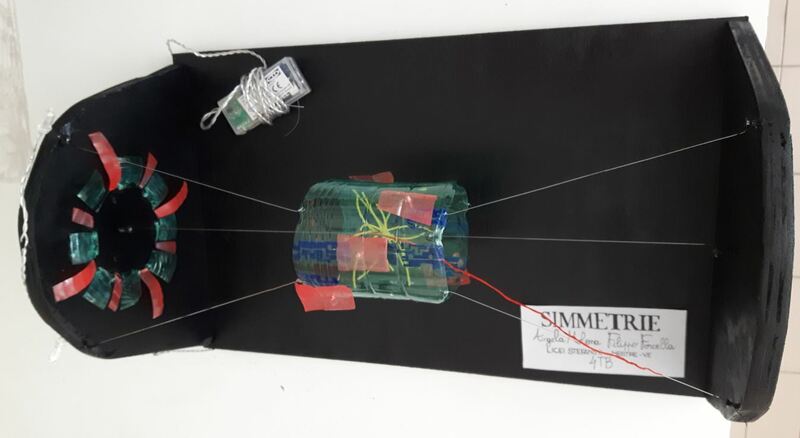 I appreciated a lot the effort the students put in creating a truly three-dimensional view of a particle collision. The sides of the structure are also decorated with a two-dimensional projection of the event display and with a sketch of the detector seen from a side, with led lights giving it a touch of technology.